Really Big News- Bitcoin has been Legalised in India! So I just read that the Indian Government has legalized Bitcoin. They were actively investigating the legal Status of Bitcoin and considering the possibility of regulating it for the past few months. And it seems the hard work of a few Bitcoin Exchanges that were actively pursuing the government to make Bitcoin legal, has been successful. There are 3 big Indian Bitcoin exchanges including Zebpay, Coinsecure and Unocoin and these have been operating with self-regulated strict Know Your Customer (KYC) and anti-money laundering systems in place, despite the lack of regulations in the cryptocurrency area of the market in India. 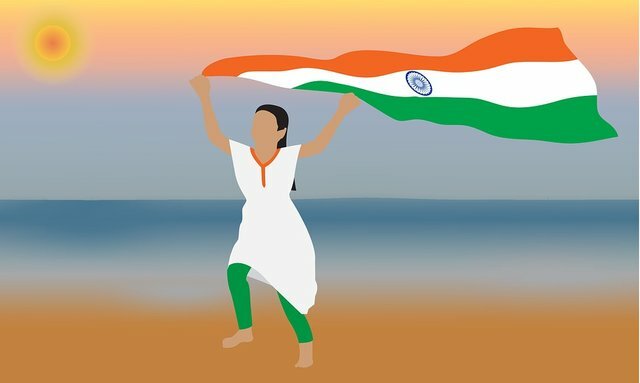 The efforts of the these Bitcoin exchanges in India to self-regulate the market has allowed the Indian government to reconsider the Bitcoin and digital currency sectors, regardless of the criticisms by several politicians that significantly lack knowledge in cryptocurrency. Even though there're a lot of politicians who were opposing the legalization of Bitcoin, the Indian government headed by Prime Minister Modi has come to a decision to regulate the market and provide an even playing field for Bitcoin exchanges. These exchanges had allocated a significant amount of resources to standardize the market and industry for the last few years. So yesterday on June 20, a prominent media channel in India called "CNBC India" announced that the Indian government committee has ruled in favor of regulating Bitcoin and is currently establishing a task force to create various regulatory frameworks with the aim of fully legalizing Bitcoin in the short-term. Chris Burniske, ARK invest's crypto lead, noted that the trading volumes in India have been on the rise for the last few months. Burniske previously had revealed that the Indian Bitcoin exchange market is responsible for processing around 11 percent of Bitcoin-to-USD trades. This is a significant number and that too even before it was legalized in a country where cash is the king. With a market as big as China, the legalization of Bitcoin in India is expected to further increase trading volumes and Bitcoin activities in India by significant margins. So we may see a significant rise of Bitcoin's price in the next few months. If you're holding any Bitcoin presently, this news is great. But if you follow my blog, you'd have seen my 2 posts about the impending Bitcoin Hard Fork that may or may not happen in the next few months. So you need to be wary about that and try and maximize your profits in the next 2-3 months and then have an exit plan in place, this is in case you're a short term trader. Long term holders of Bitcoin also need to be careful. If you have missed out on those posts, I've added the links below. Make sure to check 'em out. So that's it for this post, hopefully we'll see the value of Bitcoin climb back to $3000 USD because of this latest development. This post is also to see how HF19 will affect the potential payout of my posts. Would there a big increase? Haha, atleast I can hope! Wow cryptodog, good news. I mean i know india has always been ahead in terms of coding and technology but seem now even the government is ahead of the curve by legalize something other countries are still reluntant to. Great stuff and this is certainly give some thoughts and presssure to other countries. Yeah, first Japan and now India. So looks like the doors are opening slowly for Bitcoin to become legal in major countries. Let's see which country will be next @wilkinshui. Haha @quattrophoto. I was actually thinking about it that those users don't upvote my post but they do upvote @wilkinshui's comments. This post received a 5.0% upvote from @randowhale thanks to @cryptodog! For more information, click here! I was wondering about that. That's great news! Yeah it's a big news @erikjohnson. Fingers crossed for Bitcoin's price in the next few days and months. Hi @cheetah, I had provided the source of this information in my post. So why was I flagged? Yeah it's awesome news @patelincho.